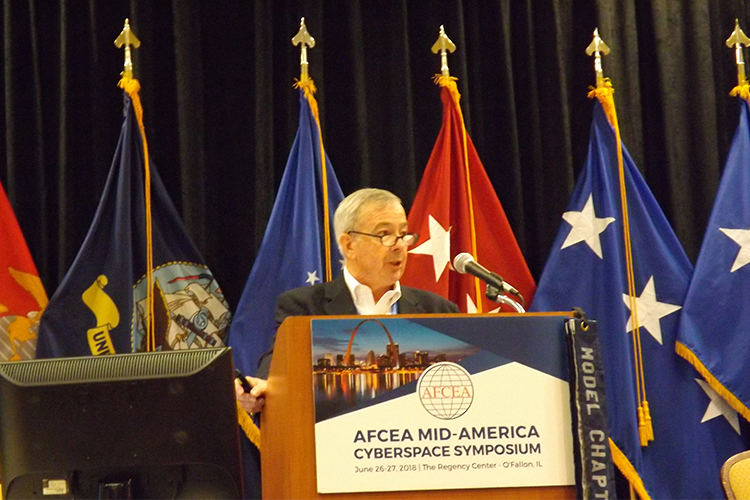 The Armed Forces Communications and Electronics Association (AFCEA) Scott - St. Louis Chapter is proud to announce the 2019 AFCEA Mid-America Cyberspace Symposium. Attendees can earn Continuing Education Units (CEUs) by participating in the Symposium. AFCEA is a non-profit organization that encourages greater government/industry partnerships and fosters networking among technology professionals. We provide the opportunity to build relationships, identify needs and challenges, and explore technology solutions that will help support the IT community. Visit the AFCEA Scott-St. Louis Chapter website. The Board of Directors consists of individuals that have served as previous AFCEA Scott-St. Louis Chapter Presidents.